Rules, information and major announcements for this forum and its roleplays. You can talk about anything here, so relax and put your feet up. Art, writing, fan projects, etc. Here's the place where you can show off your work. For roleplay that doesn't follow or effect any of the threads in the main roleplay boards. Discussion of where plots should lead go here. Please post here instead of in roleplay threads. 2 9 Emeralds = indole kryptonite? 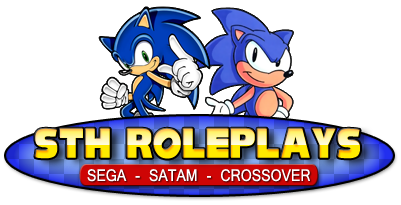 This is where all active Sega-related roleplay goes. New character submissions and lists of characters who're already taken. Completed threads go here. A good place to read up on old events. This is where all active SatAM-related roleplay goes. 3 Staff, 1 Member, 39 Guests.